Poles are obstacles on my daily path. If you are daydreaming and try to pass through you will bump. 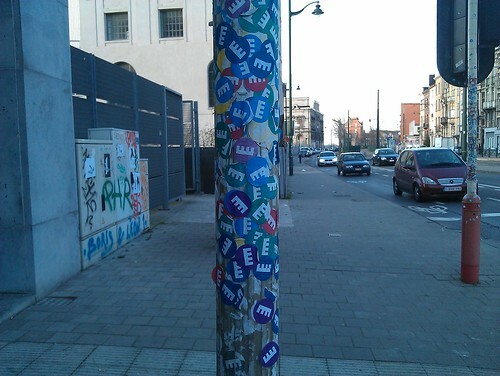 Well this one in modern art museum Wiels in Brussels is a nice one with the recycled stickers that you are given when entering the museum. That is one which to recyle the museum stickers!